On the Web - Dan Vermilya from Serpents Online is on this episode of Morelia Python Radio to discuss diamond pythons. He will talk about care, breeding, bloodlines and the stardust morph. 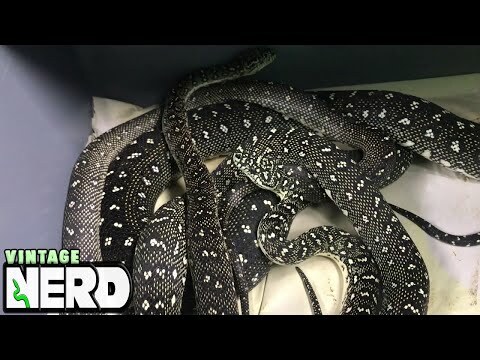 YouTube - Kevin McCurley shows off a stunning breeding group of diamond pythons at New England Reptile Distributors.